A short note before we get to today’s post. For those of you that have been getting random spam comments if you follow comment threads on the blog, thank you for your patience as I’ve worked to find a solution. My spam filter was only catching about 99% of spam (I get thousands per day – yuck! ), so a few were slipping through every day. I think I have finally implemented a solution that is squashing spam in its tracks, and you shouldn’t get random irrelevant comments anymore. Now, onto our topic of the day! 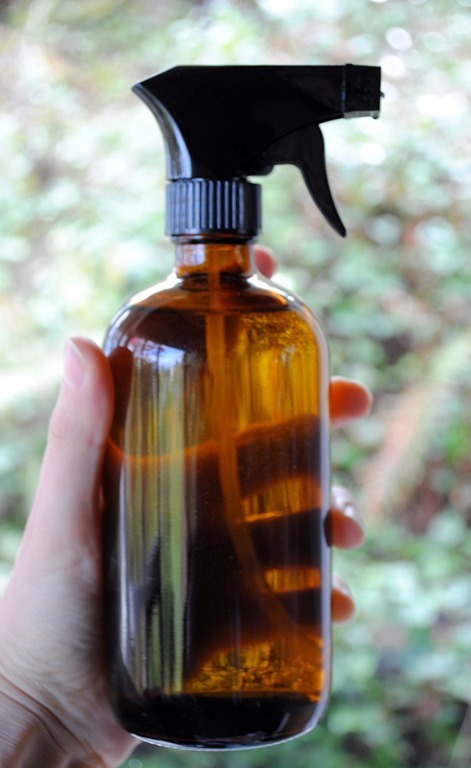 Do you use a daily shower spray? For glass stall showers, I really prefer to have a daily spray instead of letting the soap scum and grime build up to make the real cleaning much easier. But, shower sprays are — like most everything else found on the shelves at a store in the cleaning aisle — laden with chemicals and endocrine disrupters. There are a few natural options on the market, including this one, but, if you’re more of a DIY type, it is so easy to make your own, and more economical to boot. 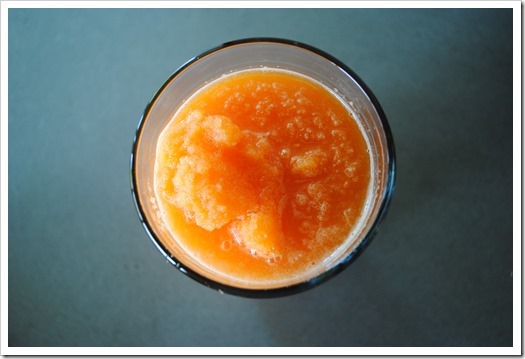 I browsed through a few recipes when working on this post, and, ended up deciding to make a variant of the recipe found on Livestrong.com. It works well and uses ingredients you probably already have on hand. And, if you don’t, the key ingredients aren’t terribly expensive and last a really long time. 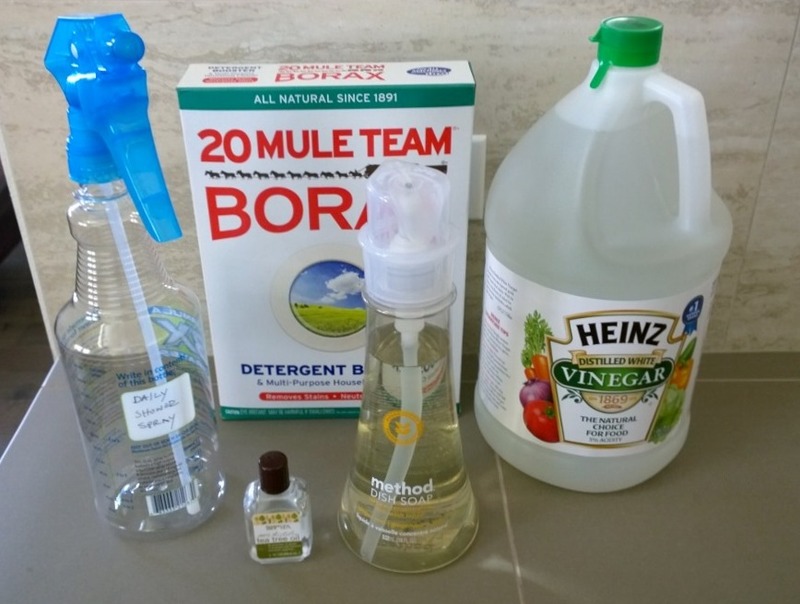 You can find Borax powder in the laundry detergent aisle for less than $3.00, and a gallon of liquid vinegar usually runes less than $3.00 as well. If you have a Trader Joe’s, you can get both Dr. Bronner’s liquid castille soap and tea tree oil at an affordable price. I didn’t have liquid castille soap on hand, so for now, am using dish soap. But, when I go to the store next, I’ll pick up some castille soap and use that instead – it is definitely the most natural option. Note of caution: If you have natural stone tiles, leave the vinegar out of this recipe – it is harsh on stone over time due to its acidic nature. But if you have ceramic or fiberglass, you can leave it in. There you have it. the latest in our quest to become as all natural as possible around these parts. What do you think? Will this spray make it into your shower? Today I have a reader request for you guys (I love reader requests, so keep ‘em coming!). 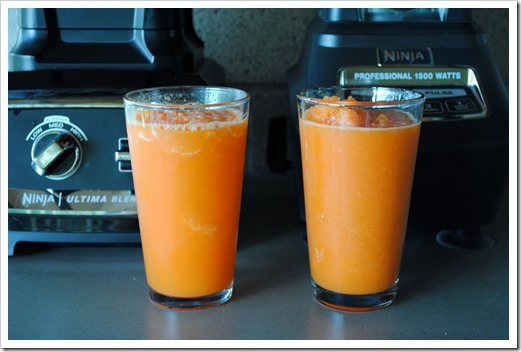 Here is the scenario, which I have heard so often over the years: The Ninja commercial makes it appear as if you can turn fruits and vegetables into a smooth, drinkable juice in no time flat. This, of course, depends on how you define juice. 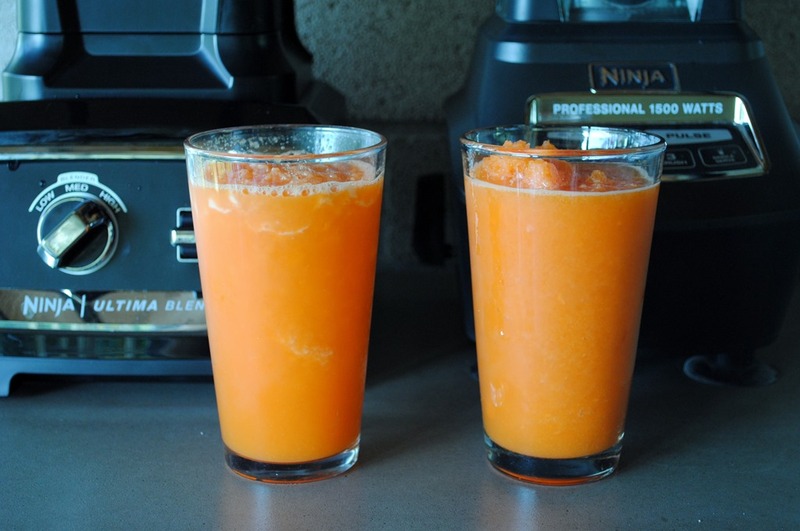 If you want a thick, whole food juice that retains the pulp, then yes, the Ninja can absolutely perform if you know how to make it do its thing. 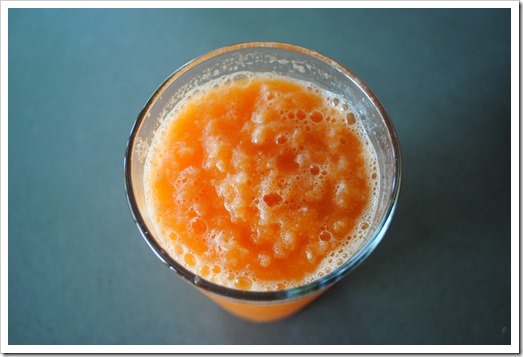 However, if you want pulp free juice, you have to strain it, or, use a juicer. 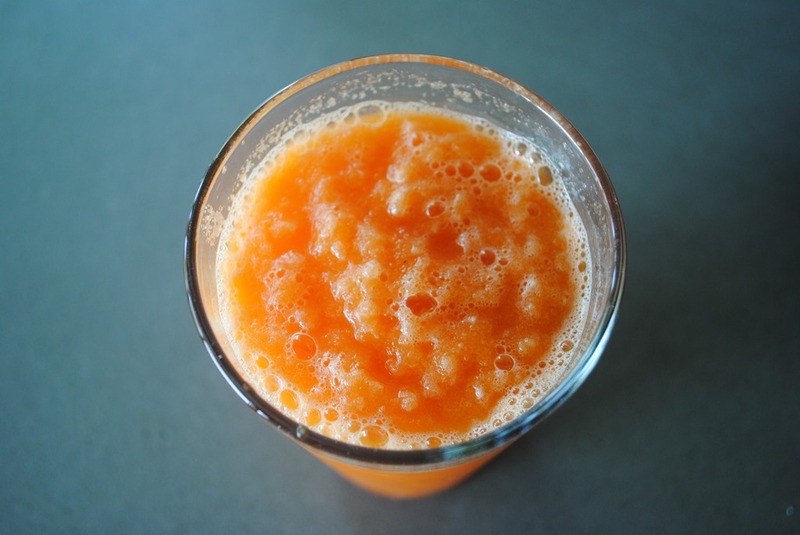 That said, this week’s request has to do with carrot juice. 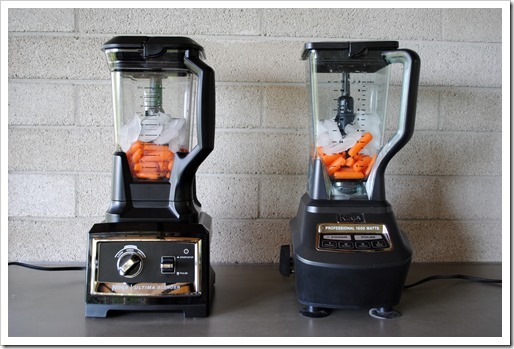 Reader Dana saw a demo of a Vitamix recently where the person performing the demo turned baby carrots, lemon juice, and ice into a nice, drinkable whole food juice, and she hasn’t been able to get the same results with her Ninja Mega. So, I set out to see if I could create this juice, and, for a little fun, I used both the Ninja Mega 72 ounce pitcher, and the Ninja Ultima 72 ounce pitcher. Spoiler alert: The results were pretty much identical. Spoiler alert #2: Though drinkable, the results were not quite what you would get with a Vitamix. They were not bad, per se, but, just slightly different. 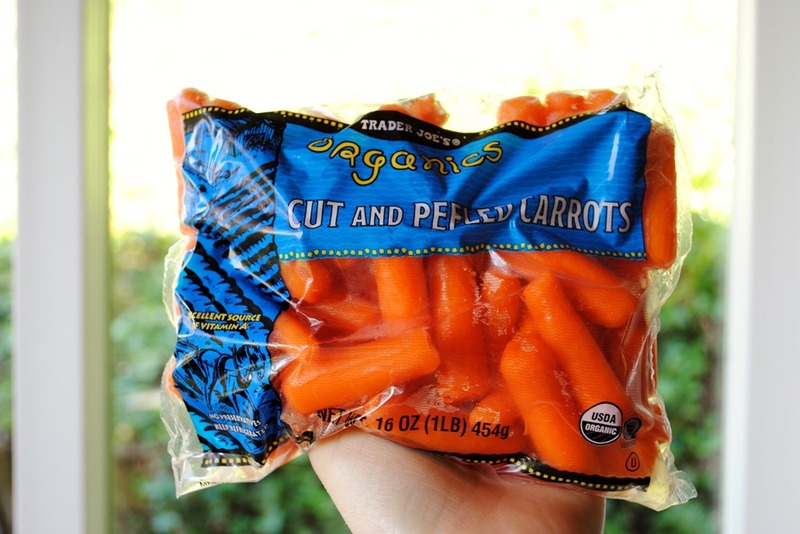 1) Found some baby carrots (this is what Dana said the Vitamix demo guy used). 2). 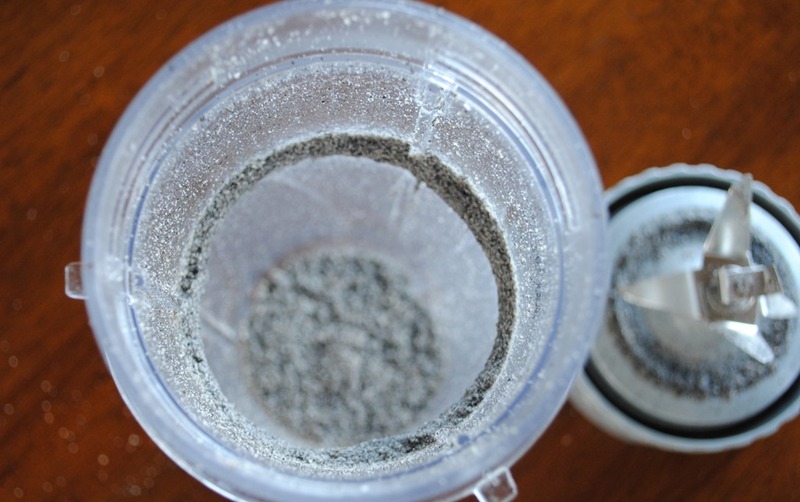 Put half the bag in the Ninja Ultima and half in the Ninja Mega blender 72 ounce jars and added an equal-ish amount of ice. 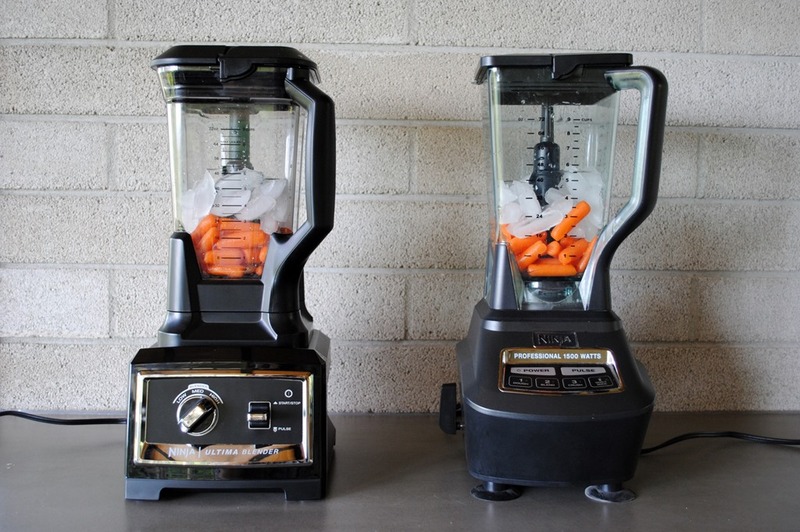 The deal with Ninja blenders is you have to add ice to whole fruits/veggies if you want a drinkable “juice.” Otherwise, you just get chopped pulp! I explain more about this here. 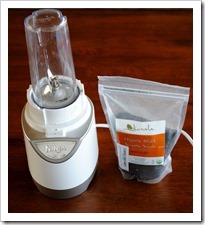 4) Pulsed 4-5 times, and then slowly increased blending speed until I was blending on high in both machines. 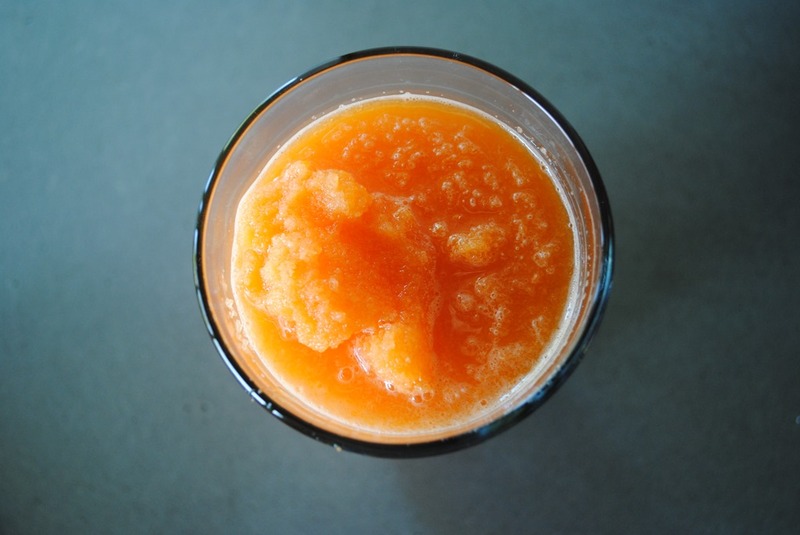 I determined I needed to add some water when all I had was basically a carrot snow cone, so I added about 1/4 cup of water to each, and resumed high speed blending. 5. Very soon after adding water and resuming blending, the concoction came together and I deemed it juice. Total blending time pre- and post-adding water was about 1 minute cumulative. 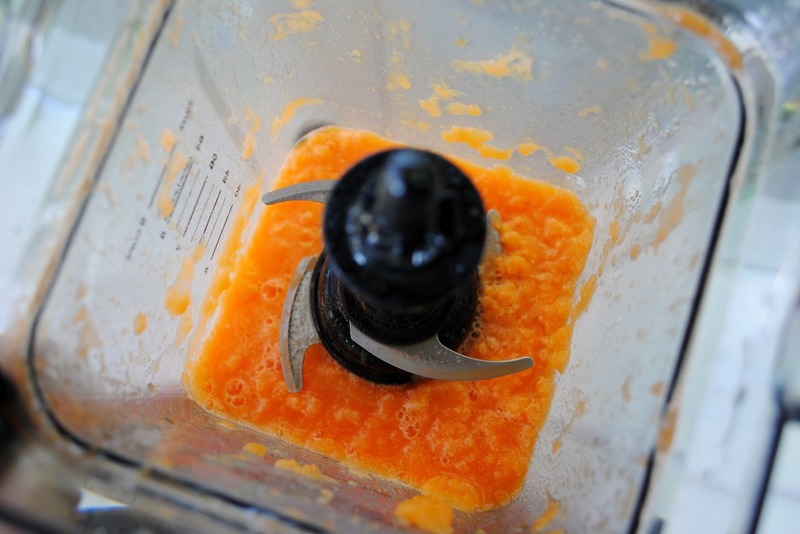 Though, as you can see, there is still the thickness of the pulp in there – there is just no way around having some pulp, since the blender does not extract it. The results, place in front of their respective blending machines. Don’t be fooled by the one on the right being a little more puffed up – their textures are almost identical. I was able to drink both of these with minimal chewing (I always chew my juice and smoothies, though). Is it as good as a Vitamix? Probably not quite. But we’re talking margins. 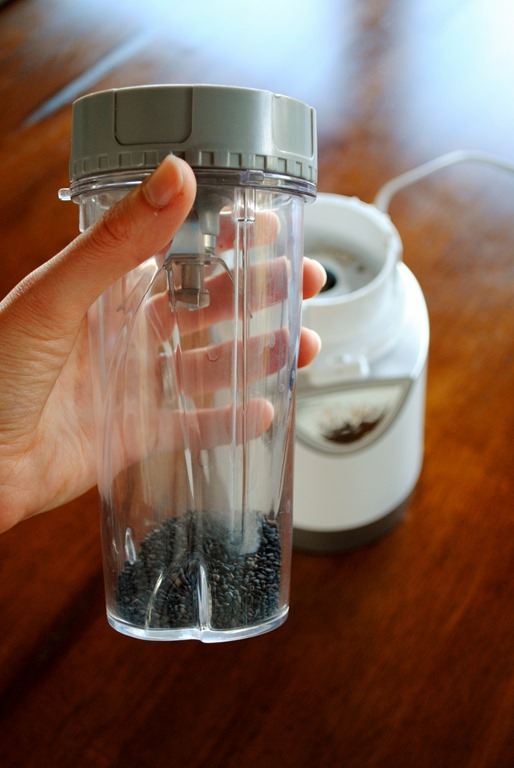 Just like the Ninja, the Vitamix is a blender, not juicer, so the pulp doesn’t just evaporate, but you can likely get a bit of a finer consistency due to the blade design. Have a reader request? Let me know in the comments! Did you know that dryer sheets are one of the most toxic items you probably have in your house right now? Dryer sheets are terrible for you. 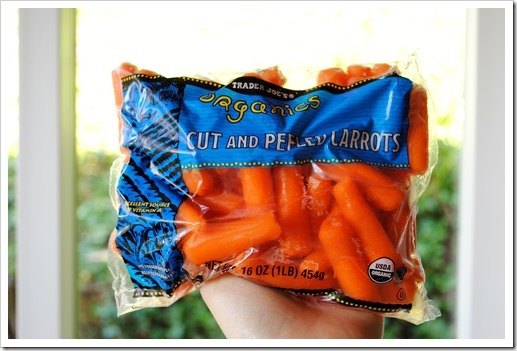 They have nasty chemicals in them that have been known to cause all kinds of cancer. 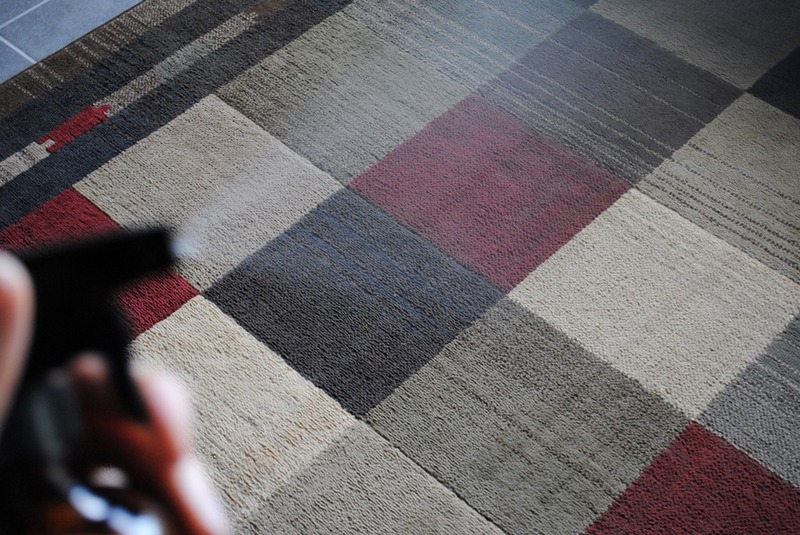 Having your clothes smell “Downy Fresh” is just not worth the risk. For the last year or so, I have been on a mission to get toxins out of our lives – from personal care products to cleaning products, and everything in between. One item that has been on the more difficult side to replicate with a natural product is dryer sheets. Then, I discovered something completely natural: Wool dryer balls. It is kind of odd. But, these balls made of wool do a great job as a fabric softener, and, amazingly, speed up drying times a bit. They are not as good as a chemical dryer sheet at removing static cling, but they are equally as good, if not better than the Seventh Generation sheets at both softening and static cling management. If you want a bit of natural scent to go with them, you can add a wet washcloth with a few drops of your favorite essential oil on it to the load when you put it in the dryer. The literature on these dryer balls says that they last for years, so they are pretty darn economical. What do you think? Would you try wool dryer balls instead of dryer sheets? Who among us hasn’t bought Febreze at one time or another? Yeah, that’s what I thought. When Febreze came out almost 20 years ago, it was a miracle cure to ‘clean the air,’ but really, it’s just a bunch of chemicals and corn. Here is a good article that explains the science behind how it works, if you’re into science and the whatnot. Fast forward a bit, and I disposed of all our bottles of Febreze at the local chemical recycling location, along with a lot of other household cleaners, and went in search of a more natural solution. For what it’s worth, don’t pour Febreze down your drain or out in your yard. It is toxic and must be properly recycled. You can find a recycling location at Earth911. In searching for recipes for DIY Febreze, I came upon recipe after recipe that uses fabric softener. It may smell similar, but yuck, I can’t imagine it is any better for you than the real deal. But, I did find one recipe from Brown Thumb Mama that was more in line with what I was thinking. 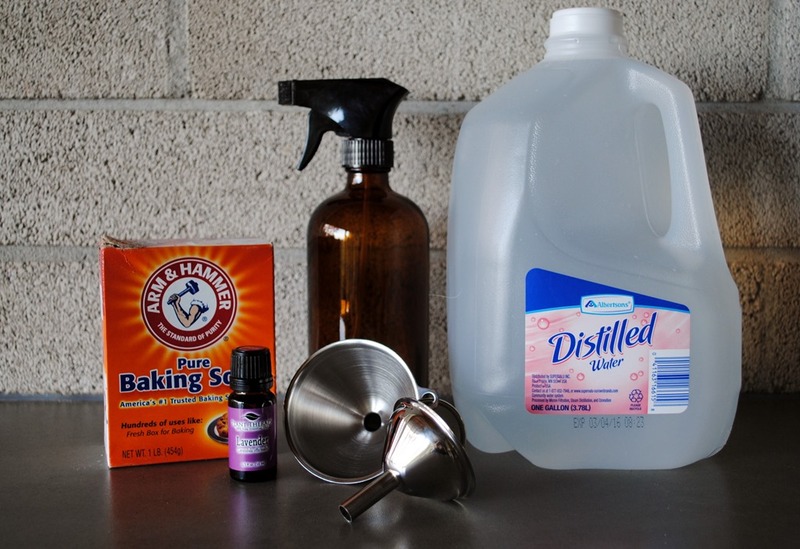 Her version uses distilled water, baking soda, and essential oil. Nice. There are also a couple of variations that use cheap vodka or rubbing alcohol instead of baking soda, but I opted for the baking soda version, as I had everything but the water on hand. 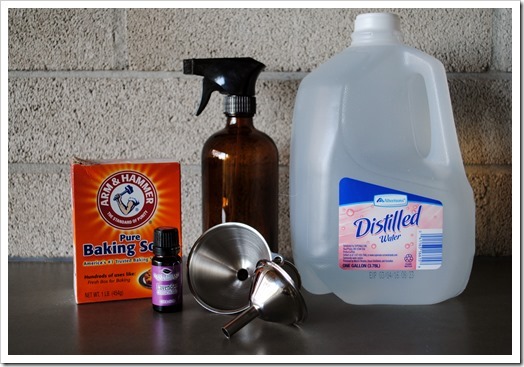 The reason for either the baking soda or alcohol is to keep the essential oil from evaporating and remain suspended in the water. They also are both odor absorbers, though I don’t know how much that comes into play here. As for the essential oils, you can really mix and match to your tastes. Flavors that would work well for this include lavender, citrus, tea tree, grapefruit, and many more. Go with flavors/scents that you like, and you can even mix and match (for example, 5 drops lavender, 5 drops tea tree). Be careful of peppermint for this application, as it is toxic to cats. 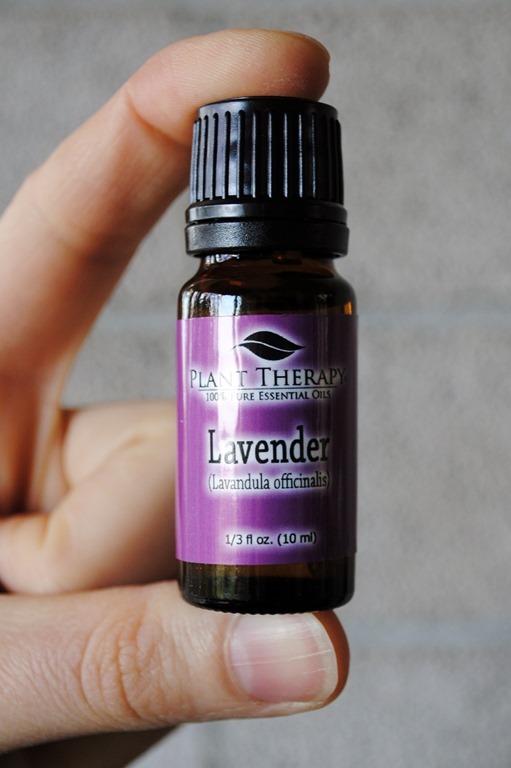 I had lavender on hand for the Dr. Oz detox bath (2.5 cups Epsom salts, 10 drops lavender oil), so lavender it was! 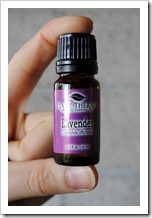 Read more on safely using essential oils here. Here is the super simple mixture I made, taking the lead from Brown Thumb Mama’s recipe. If you don’t have distilled water, go ahead and use tap/filtered water. Distilled water is nice because tap water typically has things like chlorine, fluoride, and other chemicals in it (yummy), but tap water will work fine. Funnel, optional, but does make things easier! 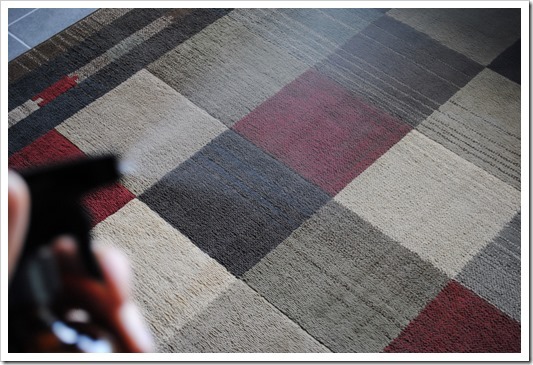 Breathe easier, knowing you are not poisoning your household! Ideally, you should label your bottle so you know what’s in it. In this case, I only have one glass bottle, so I didn’t put a label on it. I wish I had smell-o-vision to share what this smells like with you. It is really lovely! I know, I know, acne solutions aren’t probably something you expect to read about from me, but this one is kind of a foodie solution, and it works. And, the truth is, from time to time, just about every is faced with some form of adult acne. It can be stress-driven, hormonally-related, food-allergy related, and, more. I think it’s fair to say that no one likes acne. And, there are few things that are more frustrating than dealing with it as an adult. I have a solution for you this week that is cheap, effective, all natural, and won’t bleach your clothes like a lot of OTC treatments. I wish I had known about this 20 years ago! You know the smell – it’s very distinct. It turns up in a lot of hair care products and sort of gives your scalp a bit of a tingly sensation. But, did you know that tea tree oil is a strong natural antiseptic? It’s good for a lot of things, and it is incredibly effective at treating acne (and saddle sores, for those that are into cycling). However, the catch is that it’s super, super strong out of the bottle. It has to be diluted so you don’t burn your skin. Here is a little bit more about tea tree oil. I have been keeping the following mixture pre-made up in a small container, so that when the occasion comes, I already have some ready to go. You can buy tea tree oil from Amazon, or, at a lot of health food stores. They also have it at Trader Joe’s with the personal care products. 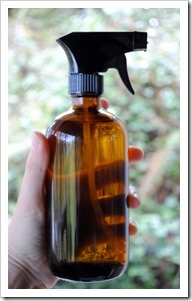 A small bottle will last a long, long time because it needs to be pretty diluted to use. 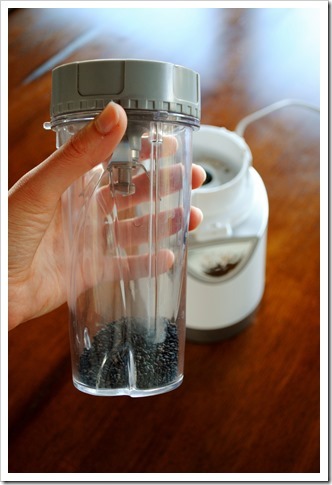 Last week, I published a quick tutorial on grinding sesame seeds in the Ninja Pulse (which will work with any Ninja that has a single serve cup). 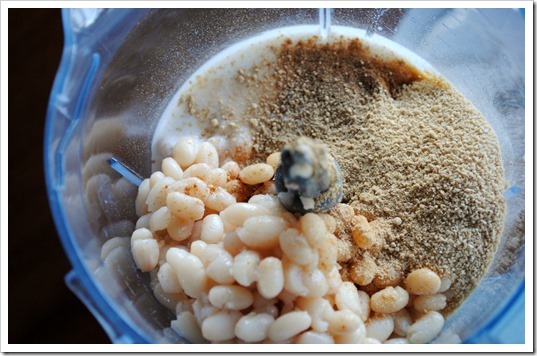 That post sparked reader Angel to ask about using the Pulse to make the filling for Muslim Bean Pie. Truth be told, I had never heard of this pie, so I had to go look it up, and it turns out it is somewhat similar to pumpkin pie, but made with Navy beans, which are small white beans. 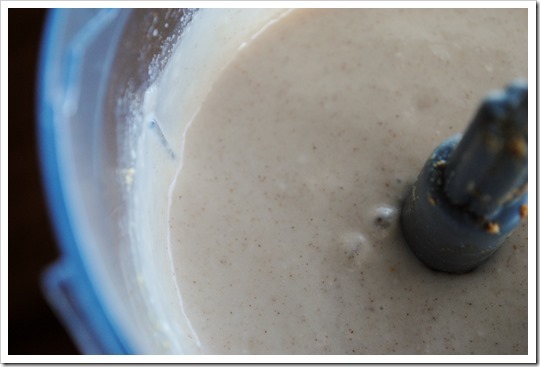 For those that want the quick answer, I’ll cut to the chase: You can use your Ninja blender to make a very smooth Muslim Bean Pie filling! For those that want the step-by-step, I’ve got you covered below. 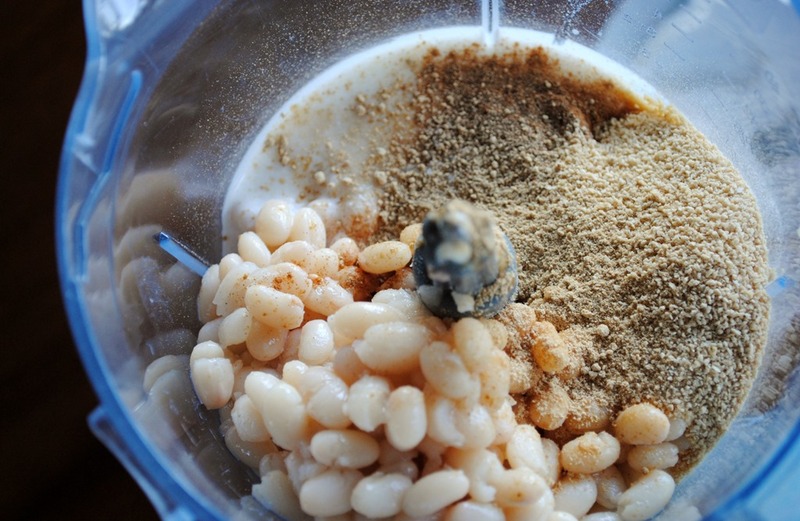 I’m providing instructions for making this puree from dried beans, because you can make sure to cook them to a very soft consistency, which will make them blend very nicely.Sometimes canned beans are a bit on the firm side. It is also a lot cheaper to make beans from scratch than buying them already made, but you have to do just a little pre-planning. 1) Obtain dry navy beans. I bought them in the bulk food section of Whole Foods, but you can also get them in bags in the bean aisle or from Amazon.com. If you can’t find them in the bean aisle, look with for the “Bob’s Red Mill” section, as BRM sells them in packs. 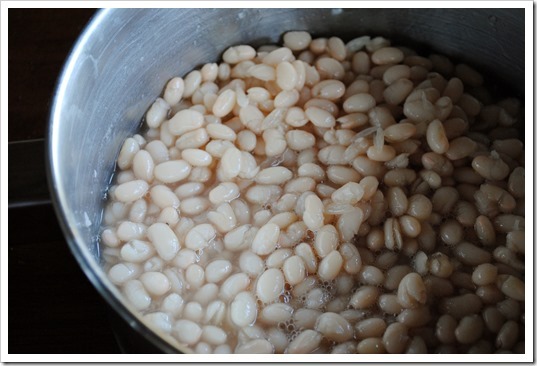 2) Measure out 2 cups (or more) of dry beans, place in a large pot, and cover with water. Let soak overnight, or at least 8 hours. They will plump up when you soak and cook them, so 2 cups of dry beans will leave you with a little extra (which I always like to have on hand). Most recipes will call for 2 cups of cooked beans. 3) Drain and rinse the beans, return to the pot, and bring to a boil. 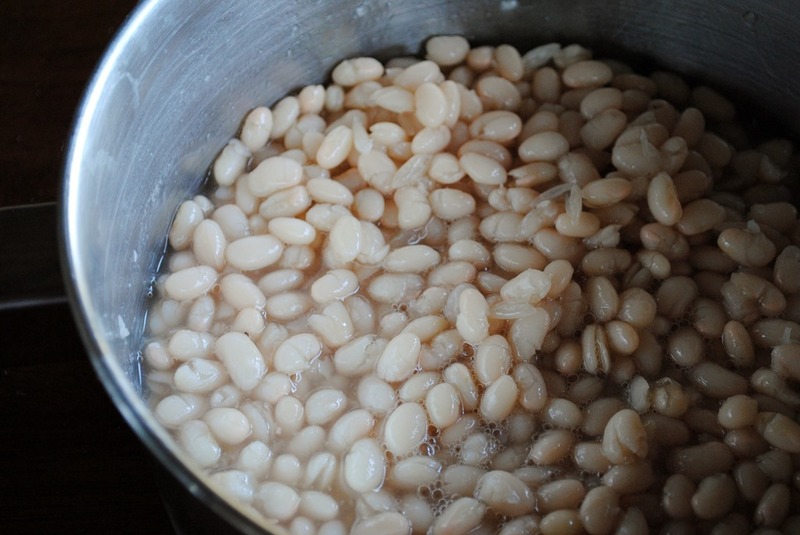 Once the beans are boiling reduce the heat low, cover loosely, and let simmer for about 60-90 minutes, until very soft. You can see in this photo that the beans are soft and some of them have even split open. This is how you want them so they will blend super smooth. 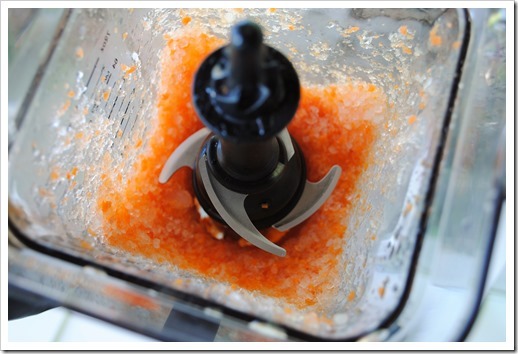 4) Add your pie ingredients to the jar of your Ninja blender. I used the Pulse for this because that is what the original request from Angel was for, but any model will work. Here is the recipe I used, though I substituted coconut milk for evaporated milk, maple sugar for sugar, and an egg substitute called “The Vegg” because that is what I had on hand. 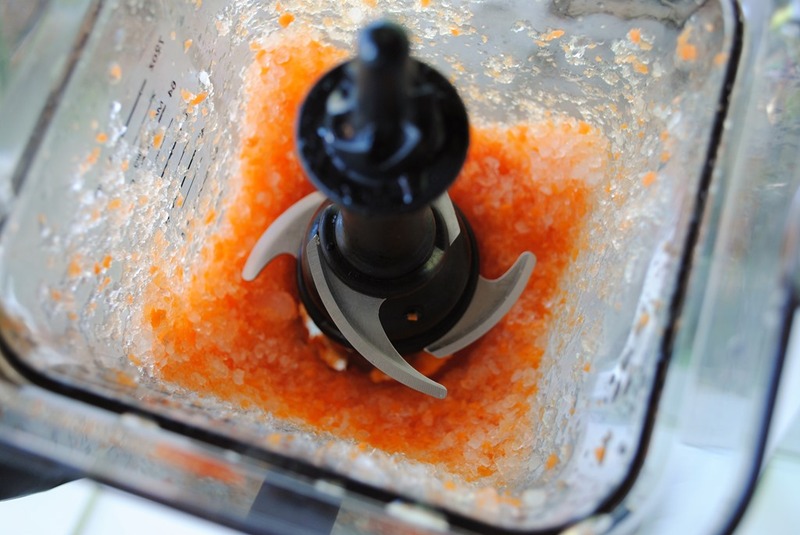 5) Blend on “1” for most Ninja models, or, hold the lid down on the pulse to steady state blend for about 30-45 seconds, until all of your ingredients are totally pureed. 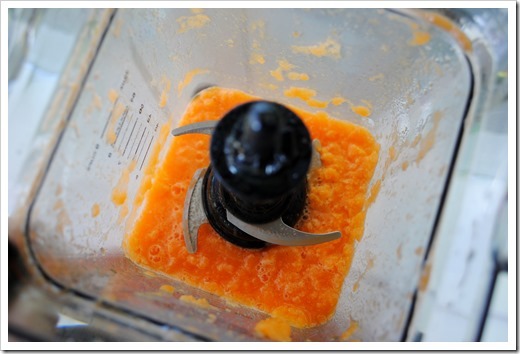 You want to use a slow speed for this to get a very smooth mixture. From here, you can pour into your prepared pie shell and bake per the recipe’s instructions. I hadn’t really planned ahead for this experiment, so I didn’t have a pie shell on hand (nor a way to bake a pie, since we don’t have an oven right now due to our ongoing remodel). To solve this, I’m going to pour into mini ramekins and bake in the toaster oven, using a raw crust made of nuts and dates. 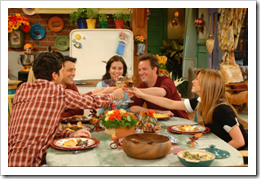 That’s not exactly traditional, but we aren’t exactly living in a traditional house right now! In case you’re wondering, the target to finish the whole house – including the kitchen, which will be the last room done, ironically – is this summer. It won’t be long and I’ll be whipping you guys up some recipes that include baking. Have you ever tried Muslim Bean Pie? 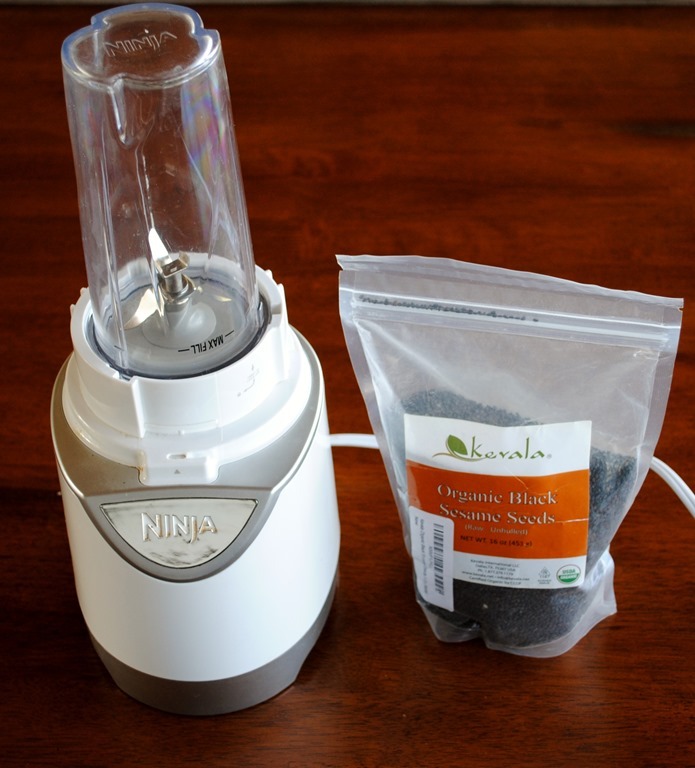 Have a Ninja Blender question you want answered? I’m happy to help, so let me know in the comments! Every so often, I get reader requests that go like this, “ Can the Ninja <model> do <fill in the blank>? 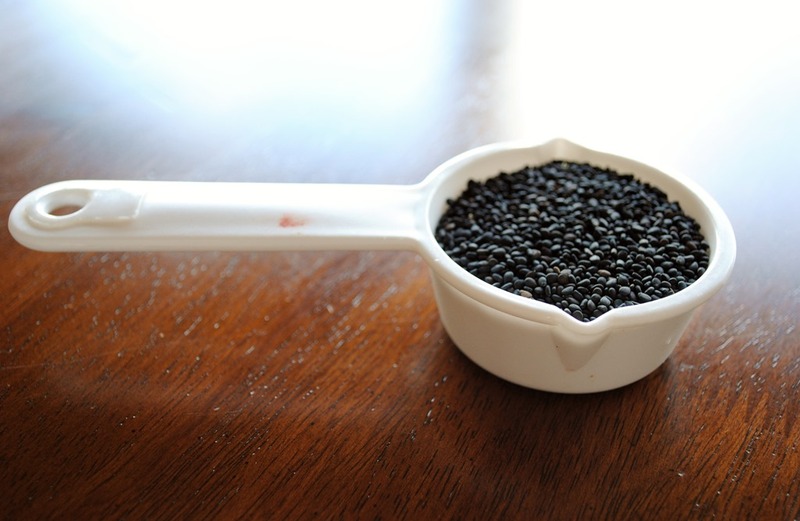 For today’s little experiment, reader Veronica asked if the Ninja Pulse can grind sesame seeds. After a little back-and-forth dialogue to determine how she wanted to use the seeds, I find out she was looking for a flour-like consistency, which is what I’ll show here. Veronica specifically mentioned black sesame seeds, so I ordered up a batch on Amazon and went to work. The tutorial here is relatively simple. If you have any of the Ninja models with a single serve cup, it will work, but I do like to do tests in the Pulse because if it works in the Pulse, it’ll work in any of the models. 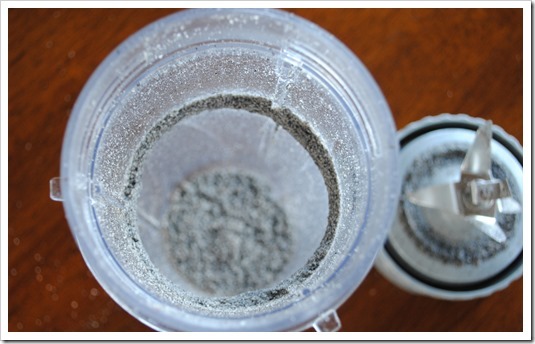 It is important to use the single serve cup for this project, because the blades in the larger jars just will not give you a very fine grind, as I demonstrated in this post about grinding coffee beans. 1. 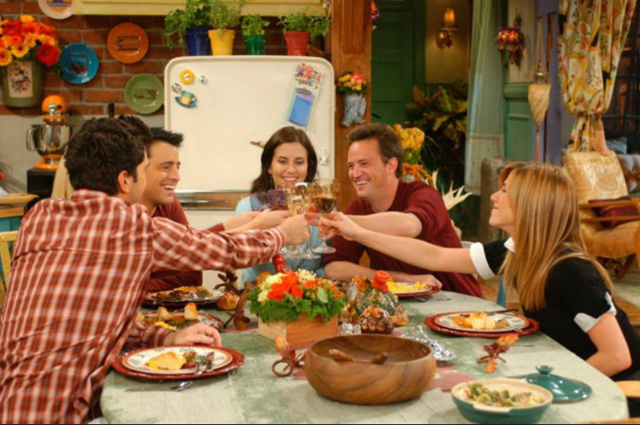 Toast the seeds. Veronica’s instructions indicated that the raw seeds needed to be toasted, so I toasted them lightly in a dry pan over medium heat for about 3-4 minutes. It doesn’t take long to toast sesame seeds; They are done when they start to become fragrant. This helps the seeds blend very nicely as well, because the natural oils come alive (same applies to any raw nut when grinding into flour or nut butter). 2. 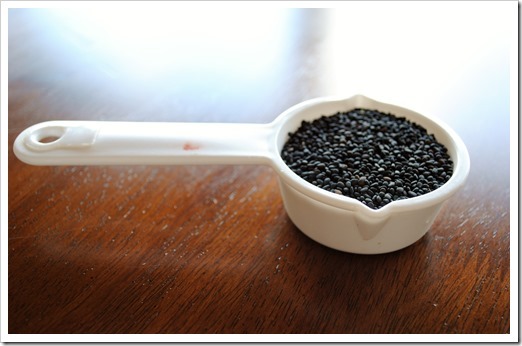 Put toasted seeds into your single serve cup. 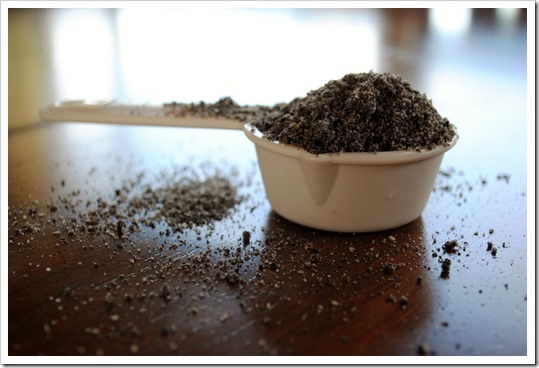 You do not need any oil if you just want to make sesame seed meal. 3. Pulse evenly for 20-30 seconds until you get a consistency you like. 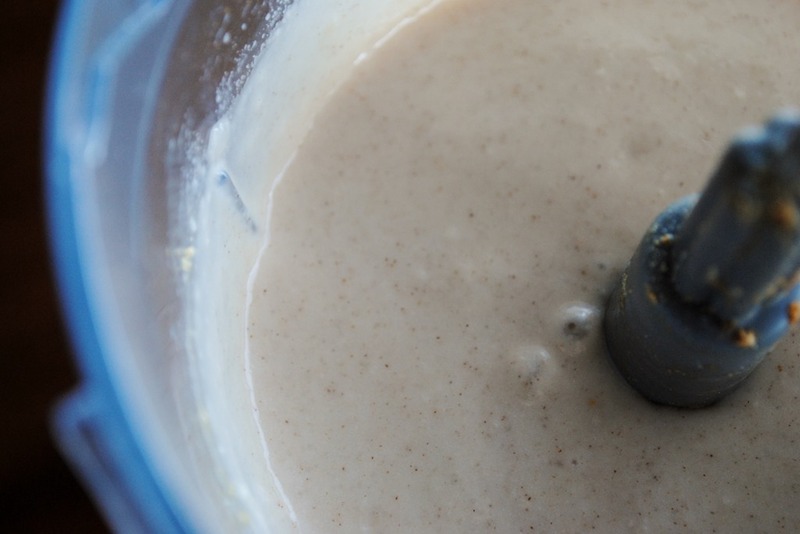 If you keep pulsing for longer, you’ll end up with tahini. You can see in this next picture that there is a ring in the cup with seeds stuck to it near the top – that is really close to nut butter texture, so I pulsed a little too long. 4. You’re done! 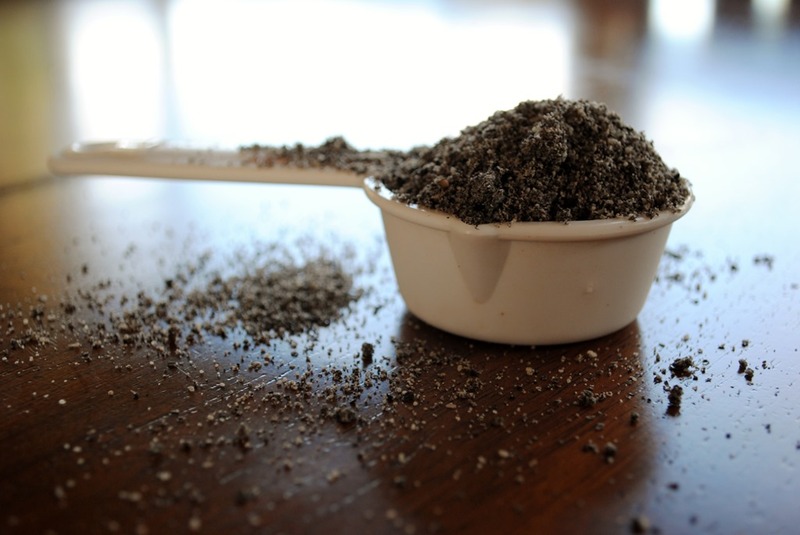 About 1/4 cup of seeds yielded a bit more than 1/4 cup of flour-like sesame meal. As for how to use it, I have been sprinkling a little on my daily big salad, and it very yummy, almost like a more savory black pepper. You could also make glutinous rice flour balls, which was what Victoria had in mind when asking this question. And there you have it. In all this, project took about 5 minutes, including toasting the seeds. Have a question about how to make something in your Ninja Blender? I’m always open for reader requests, so, don’t hesitate to ask!